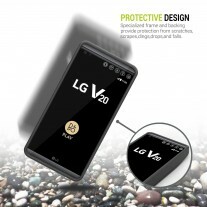 The LG V20 has a 3,200 mAh battery that can easily get you through the day without any trouble. But if you are more extreme and power user probably even this wouldn’t be enough. 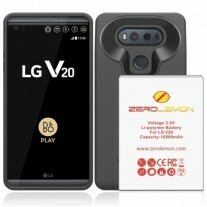 And instead of buying a secondary battery, why don’t you actually consider the ZeroLemon option. 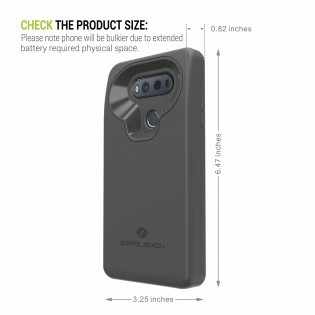 The case company released on Amazon their case at just $60. It comes with a 10,000mAh battery that goes in the same slot where the usual one goes. 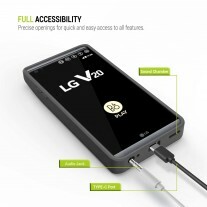 The removable back metal panel of V20 is substituted by the rubber bumper case that goes around the whole device plus, of course, the enormous battery. There’s a cutout on the back for the fingerprint sensor/power button and the dual-camera module. It looks bulky but doesn’t act like it. 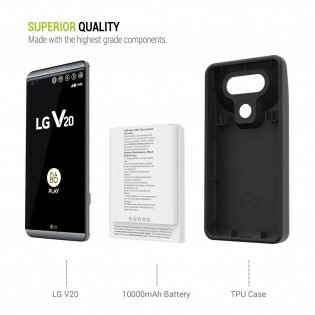 The whole package weights 230g but when you combine it with the V20 (without the original battery and back panel) it goes to just 330g. Now this is a setup that can literally go a long way.